Sales enabled organizations are always looking for ways to improve their sales pipeline. While new organizations struggle with efficiently utilizing their sales force, more seasoned organizations apply tactics that allow them to make the whole sales process efficient! So, what are the most used sales tactic that every successful sales enable organizations vouch for? Sales Territories! Sales territories are one of the most critical factors for the success of sales initiatives of an organization. Why is Sales Territories so important? For an organization that has just started out and has a sales force of just a few professionals, explaining the benefits of sales territories would be difficult. However, imagine an organization with hundreds of sales professionals, and now the concept of sales territories suddenly looks promising. So, if you don’t already know what sales territories are, it’s merely dividing the area that the organizations actively serves into more manageable regions called territories. Assign sales reps to each territory further ensuring that their sales force is efficiently utilized. This also allows organizations to improve their market coverage. By dividing the territories between sales reps, the organization can ensure that they have balanced the workload by diving responsibilities. Also, reduce the traveling expenses and time to reduce the overall selling costs. Improve the customer service and satisfaction. Most successful organizations realize the potential of having efficient sales territories and are always on a lookout for tools that help them achieve this goal. One of the way to better manage the sales territories is to use a CRM system like Dynamics 365 Customer Engagement, which allows an organization to organize and analyze their business data. However, organizations need something more, something that adds more benefit to their Dynamics CRM system. 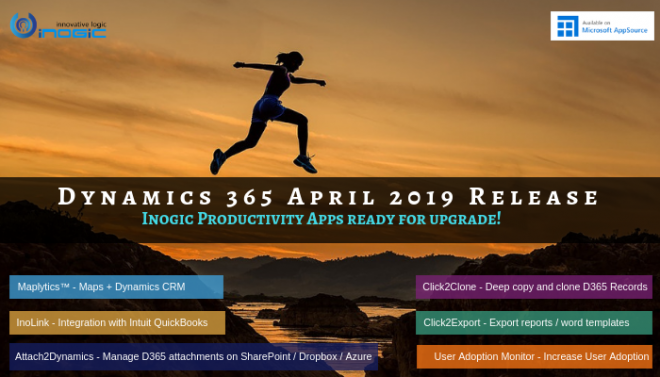 The search for that tool that allows organizations to better manage their sales territories within Dynamics 365 ends with powerful geo-analytical map visualization tools like Maplytics! How can Geo-Analytics transform Sales Territory Management? Having features that are specifically designed for sales territory management can add value to the sales process of an organization. 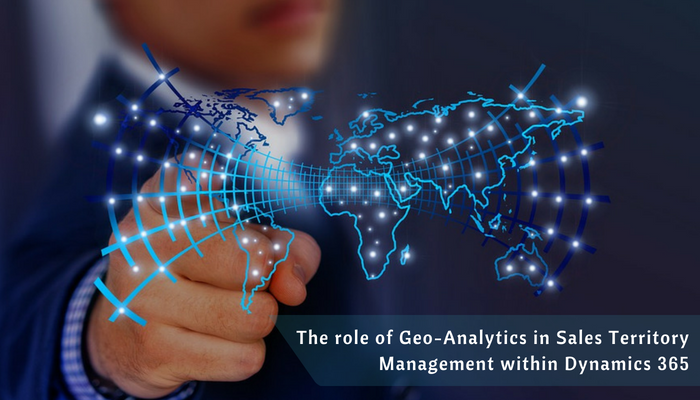 Let’s understand the role of geo-analytics in sales territory management and how it can help an organization to transform the way they manage their sales territories. Having the ability to define the geographical boundaries for the sales territories within Dynamics CRM allows an organization to understand the locational aspect of their sales territories. Unlocking the locational element augments the way an organization creates and manage the sales territories in Dynamics 365. Moreover, having the relevant sales territories assigned for the Dynamics CRM records based on their location and visualize the territories on a map further enables an organization to evaluate the sales territories geographically. The assignment of Dynamics CRM records to relevant territories also allows an organization to measure the sales territories based on the KPI that they prefer. This further enhances the geographical evaluation of the sales territories. Also, having the ability to get summarized information about the KPI for each of the sales territories improves the way an organization analyzes their territories on a map within Dynamics 365. With the summarized information of KPI for individual sales territories further allows an organization to optimize each sales territories within Dynamics 365. The sales territory optimizations can result in efficient sales force distribution, balanced workload and better ROI for their sales initiatives. Also, by optimizing the territories, an organization can improve the customer service experience and satisfaction which is essential to retain the customers in the long term. Having the ability to easily add, remove or change the geographical boundaries for sales territories makes it easier for an organization to have fast turnaround times and experience impactful changes to the sales performance in their territories. Also, this facilitates easy realignment of territories thus resulting in balanced territories that have proportional and efficient sales force distribution. Geo-analytical map visualization tools like Maplytics™ allows organizations to define the geographical boundaries for their sales territories. Maplytics also helps the organization to assign the Dynamics CRM records to relevant sales territories based on the geo-coordinates (latitude and longitude data), visualize the territories on the map, get summarized information for each sales territory, easily reassign Dynamics CRM records to some other territory and more! To learn more about how Maplytics can help you manage your Sales Territories within Dynamics CRM, refer to this video.